Nearly 18,000 acres of forested land in Hancock and Washington counties have been acquired by the Virginia-based Conservation Fund. 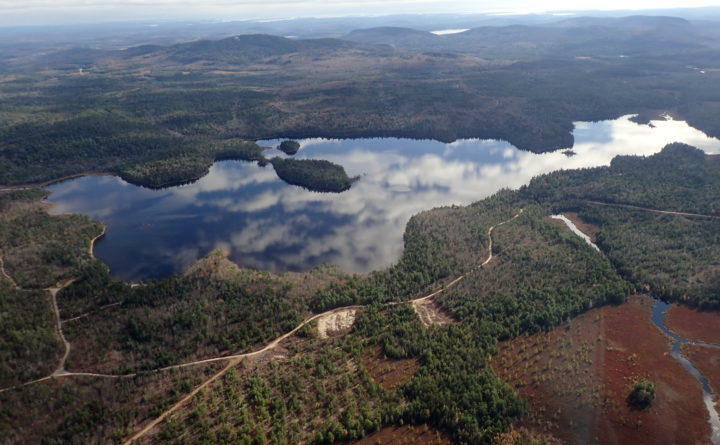 Tom Duffus, vice-president and northeast representative of the group, said Wednesday that the land will be conveyed to several Maine conservation groups once they have raised the money to purchase the parcels. The spokesperson said the acquisition will protect wildlife habitat, ensure future recreational access, and support the economies of nearby coastal communities. "This is a terrific project here, we are very fortunate in the great state of Maine to have landowners to work with to acquire tracks of land like this," Duffus said. Duffus said the properties were purchased for an undisclosed price from H.C. Haynes, Inc., a forestry company based in the Penobscot County town of Winn, and include a little more than 13,500 acres in Township 16 adjacent to The Nature Conservancy’s 9,700-acre Spring River Preserve in eastern Hancock County. Groups working to secure funding to purchase the land from the Conservation Fund include the Nature Conservancy, the Blue Hill Heritage Trust and others.